XVII International Telecoms Congress. GLOBALCOM 2014 | WorldITLawyers - A network of specialists in ecommerce law, privacy and data protection, etc. 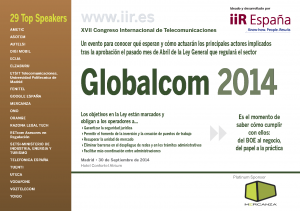 The Meeting for the Global Telecommunications Industry in Spain, organized by IIR.